Visit our Annual Professional Development Seminar page for more information and to register for the event. 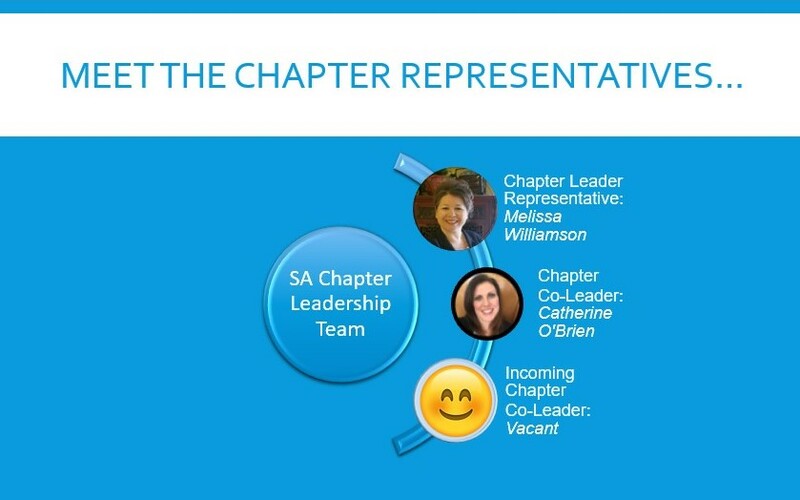 SA Chapter of TXAEYC Needs YOU!!!! 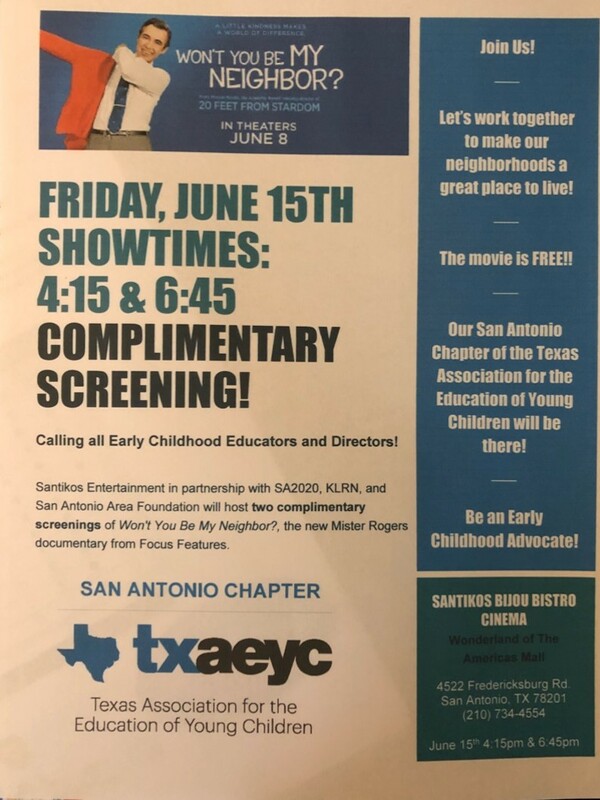 Join us in becoming more active in San Antonio with San Antonio Chapter of Texas Association for the Education of Young Children. We are actively seeking committee members. Come join a committee and help us make a difference. Some activities may include becoming actively involved in public policy, supporting centers trying to become NAEYC accredited, recruiting new members and providing opportunities for member involvement, helping with professional development opportunities, and assisting with publications. If you are interested in becoming involved, please feel free to contact any of the Committee Team Leaders. 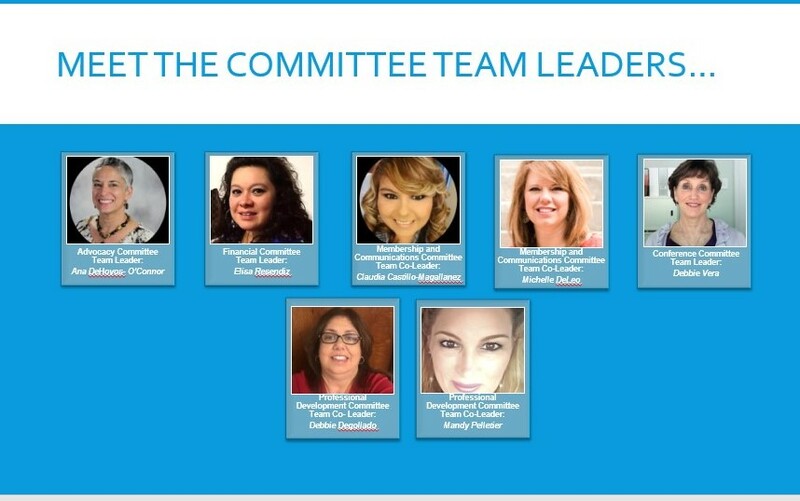 We look forward to having you join one of our Committees. Our city council would like to learn more about Head Start and Prk4SA in the City. To show support for early care education in our city. Demonstrate pride in our local AEYC! We will keep you posted, please reply to text Melissa (210) 464-6485 or Ana (210) 422-1730 and let us know if you will join us for this meeting. We are calling our city council member to learn more and will keep you posted. 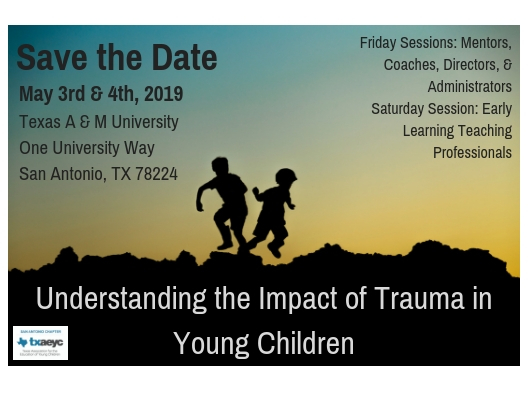 Calling all San Antonio Chapter of TXAEYC Members!! We need YOU!! San Antonio Chapter of TXAEYC is Now Accepting Applications for Positions on the Governing Board. We would like to invite you to become a part of our exciting work! TXAEYC Governing Board Appointments Application.2018 for the Governing Board Appointment Application. TXAEYC_Appointments Process for a complete description of the TXAEYC Appointment Process. Please submit all applications to larmelwill2003@yahoo.com. If you have any questions please feel free to reach us at larmelwill2003@yahoo.com or 210-464-6485. If you are interested in becoming more active in San Antonio with San Antonio Chapter of Texas Association for the Education of Young Children, we would love to hear from you. Come join a committee and help us make a difference. Some activities may include helping to plan and implement “Breakfast of Champions”, becoming actively involved in public policy, supporting centers trying to become NAEYC accredited, recruiting new members and providing opportunities for member involvement, helping with professional development opportunities, and assisting with publications. If you are interested in becoming involved, please click on the link below to sign up. For a full list of Committees, visit our Committee page on this website.